Microsoft this week officially took the wraps off Windows Server 2019, releasing a preview on Tuesday and announcing a general availability date sometime in the second half of 2018. Erin Chapple, director of program management for Windows Server, announced the projected release timeframe in a blog post that also appears to be Microsoft's first official mention of the new server's actual product name. Microsoft's 2019-branded application servers also are expected to arrive in late 2018. Chapple also mentioned that a new System Center 2019 suite of management products will be coming with support for the Windows Server 2019 product, although the exact timing of the management suite wasn't described. Microsoft additionally offers a semiannual channel release version of Windows Server, which gets major feature updates twice per year. Chapple explained that the latest semiannual channel Windows Server product will be scheduled for release "at the same time" when "Windows Server 2019 will bring container innovations." Windows Server 2019 will have licensing similar to the current Windows Server 2016 product. However, Chapple indicated that "it is highly likely we will increase pricing for Windows Server Client Access Licensing (CAL)" with Windows Server 2019. Microsoft charges licensing costs for the ability to connect to Windows Server, which are called "CALs." Microsoft offers "Desktop" (with a graphical user interface) and "Server Core" (for remote management) installation options with Windows Server, and the Windows Server 2019 product will be no different in that respect. On the semiannual channel product side, though, organizations only have the options to install Server Core or Nano Server. In addition, the Nano Server option can't be used to run workloads anymore. Microsoft is currently working on slimming down Nano Server to one-third of its current 5GB size to optimize it for its current role of hosting containers for application development work. Chapple highlighted a few new features coming in Windows Server 2019. The Shielded Virtual Machines capability that's already present in Windows Server 2016 will be extended in the new product to support Linux virtual machines (VMs), in addition to Windows VMs. There's currently support for Red Hat Enterprise Linux, SUSE Linux Enterprise Server and Ubuntu Linux. Shielded Virtual Machines is a security feature that prevents IT personnel from copying VM files and stealing information. There also will be a new Encrypted Networks feature that will let organizations "encrypt network segments" and "protect the network layer between servers." It automatically encrypts VM-to-VM traffic to prevent snooping. Microsoft is also improving the "compute, storage and networking components of a Kubernetes cluster" in Windows Server 2019. Kubernetes is an open source cluster container management solution fostered by Google. The improved Kubernetes support, though, is currently at the beta stage. Chapple mentioned that Microsoft has been working with hardware vendors to improve the hyperconverged infrastructure support in Windows Server 2019 in terms of "adding scale, performance and reliability." Hyperconverged infrastructure refers to using local disks for both compute and storage purposes in a cluster. 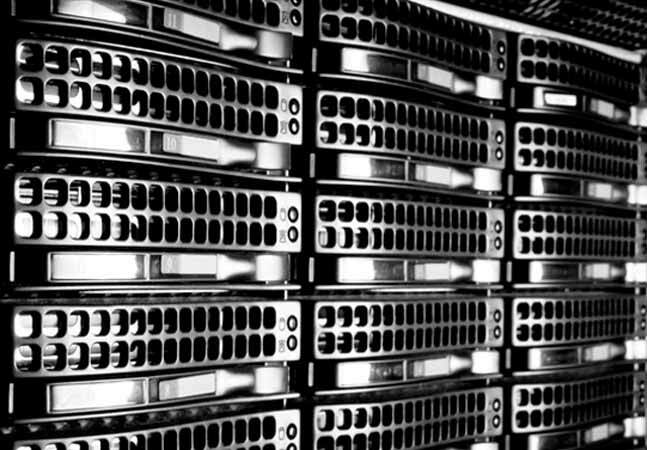 Microsoft is planning to add management capabilities in Project Honolulu for hyperconverged infrastructure workloads using the new Windows Server 2019 product. Project Honolulu is Microsoft's browser-based replacement for the deprecated Server Management Tools product. It enables remote server management via a graphical user interface, although Project Honolulu is still at the beta test stage right now. Chapple also promised that Project Honolulu will be able to ease management in "hybrid" computing environments, such as when Windows Server 2019 is used on-premises in conjunction with Microsoft's cloud services. "With Windows Server 2019 and Project Honolulu, customers will be able to easily integrate Azure services such as Azure Backup, Azure File Sync, disaster recovery, and much more so they will be able to leverage these Azure services without disrupting their applications and infrastructure," she wrote. Right now, the current Windows Server 2019 bits can be tested in preview form by participating in the Windows Insider program. This test release, which is the semiannual channel release form of the server, is labeled "build 17623," according to Microsoft's Windows Insider program announcement. The preview is good until July 2, 2018. It's activated using common keys for either the Standard or Datacenter edition. In general, Microsoft wants testers to validate in-place upgrades from Windows Server 2012 R2 and Windows Server 2016. It also wants application compatibility testing done for the new server. Windows Server build 17623 includes a preview of "Cluster Sets," a new feature that's designed to enable "virtual machine fluidity." Microsoft defines a Cluster Set as "a loosely-coupled grouping of multiple Failover Clusters: compute, storage or hyper-converged." The new server is getting built-in capabilities to use Microsoft security services, such as Windows Defender Advanced Threat Protection (ATP) and Exploit Guard. Windows Defender ATP Exploit Guard is used to reduce the attack surface associated with applications by blocking suspicious or malicious files and scripts. It's getting capabilities such as the ability to block outbound processes to untrusted hosts, and a folder protection feature to thwart ransomware attacks. The Shielded Virtual Machines capability in Windows Server build 17623 now works on "Hyper-V hosts that suffer intermittent connectivity to their Host Guardian Service." Organizations can use a new fallback Host Guardian Service capability, which offers "a second set of URLs" by which to connect. Microsoft is adding the ability to troubleshoot VMs using "VMConnect Enhanced Session Mode and PowerShell Direct," which can be used even when a network connection has been lost. Those tools will be available for use with Shielded Virtual Machines for Hyper-V hosts "running build 17040 or later." Microsoft also lets organizations get performance information when using Storage Spaces Direct, a feature that permits the use of lower-cost storage devices in datacenters. The reports generated can track things like drive slowdowns, as well as memory and CPU use. Microsoft's first semiannual product, Windows Server 1709, had lacked Storage Spaces Direct, but the feature now seems to be part of the overall schedule.